The six week race to search for the BEST OF THE BEST on the scene has just wrapped up. But before we unveil the CREAM OF THE CROP for 2019 to you, we here at SHYRICK and all our family of ARTISTS wish to thank you for your support and enthusiasm. as a substantial amount of you turned up to toss your vote in . We all are overwhelmed and strengthened by you continual show of love for the music and Indie talent who work hard to give you their very best. We have provided links for you to reach out and contact the Artist so you can stay on top of even more good music from them in the near future. And we were informed that a few of them are ready to throw down some serious vibes in 2019 . But let us first start with the TOP MALE INDIE DANCEHALL ARTIST 2019 >>> JAY BANKZ<<< who is not getting off his throne or giving his crown back none too soon ! 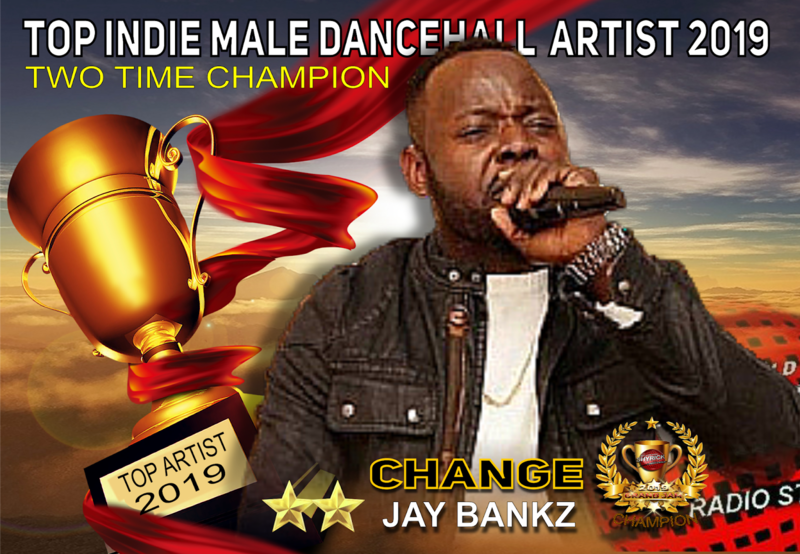 No, Mr. Bankz has won BACK TO BACK titles for his wicked dancehall vibez. And he is sitting strong on his throne already talking about the single in the lab. And if it is anything like his winning track CHANGE, we may be seeing much more of JAY BANKZ occupying the throne. 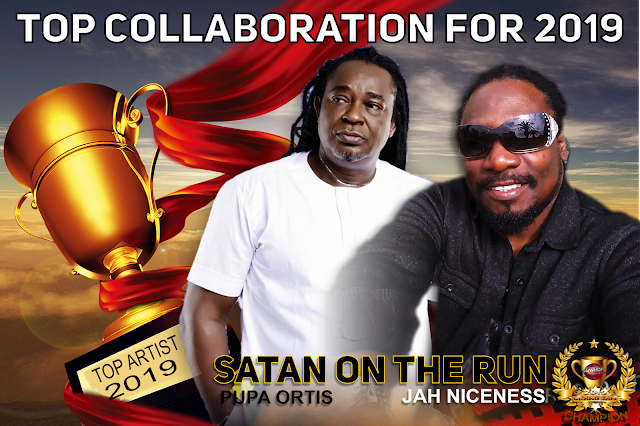 Although their track was NOT in the lead at the halfway mark it's truly anyone's game in a six week race and this duo who righteously earned TOP INDIE COLLABORATION 2019 worked up some fierce networking magic to pull off a victory! 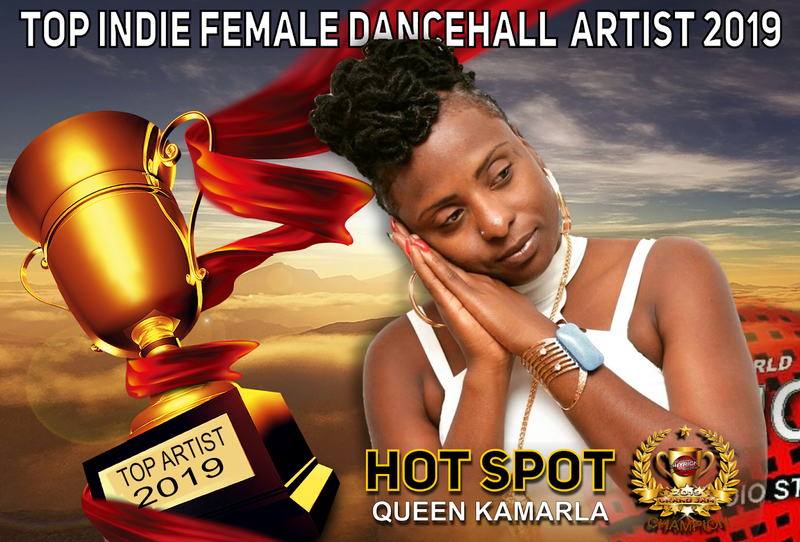 The TOP INDIE FEMALE REGGAE ARTIST has a very promising career ahead of her. 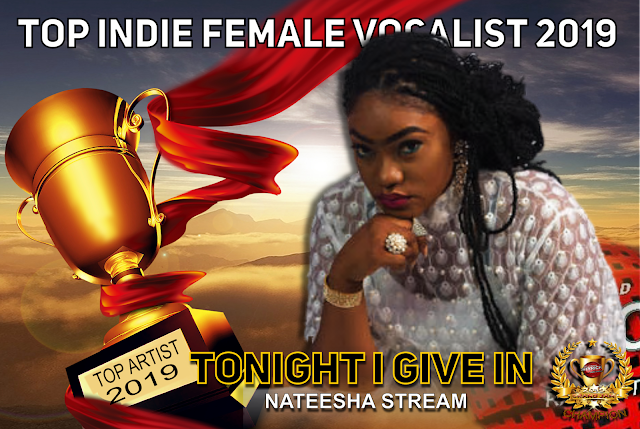 A brand new lady to the radios station, she charmed our listeners with her tracks loaded with excellent vocals and well crafted beats. 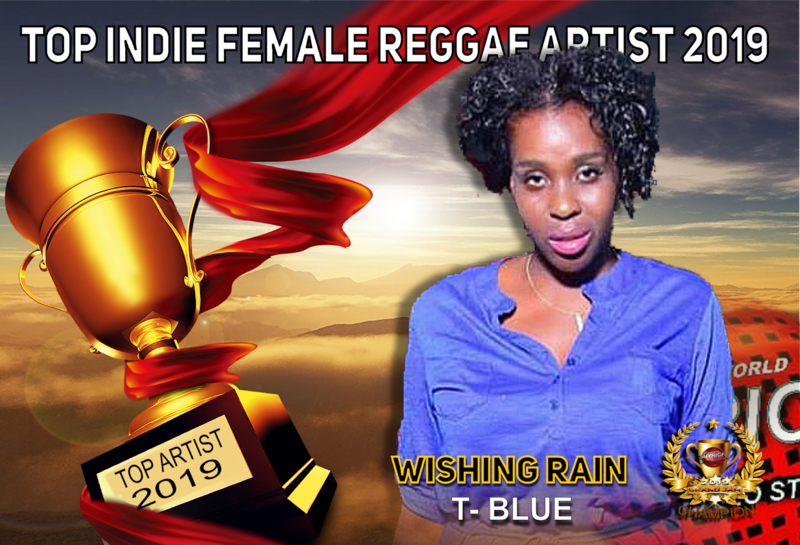 She was up against two fierce ladies who had a lot of traction in their career in 2018, but T-BLUE prevailed showing everyone that she has what it takes to stand with the best! An other lady sitting at the TOP is NATEESHA STREAM and no surprise ! With her massive vocals sitting on a dazzling track called TONIGHT I GIVE IN, she swept away our GLOBAL LISTENER. All her hard work payed of because she is now TOP FEMALE INDIE VOCALIST FOR 2019 . A title well deserved ! TOP INDIE MALE REGGAE ARTIST 2019 was a packed race, with 13 contestants in all and some pretty fierce tracks all fighting for top position, but JAH NICENESS went into networking over drive reaching out to his fan base and they showed up full force for their artist. 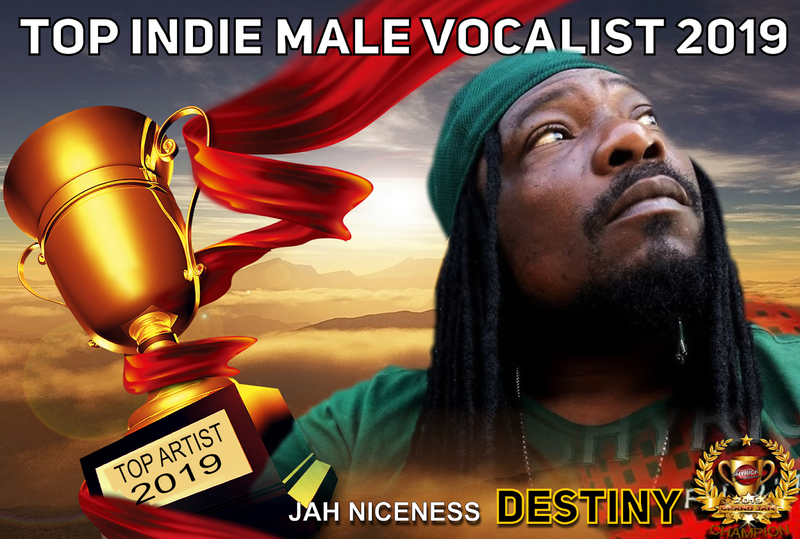 His track DESTINY walked away with not only one ...... BUT TWO nods from our GLOBAL LISTENERS. That's right ! 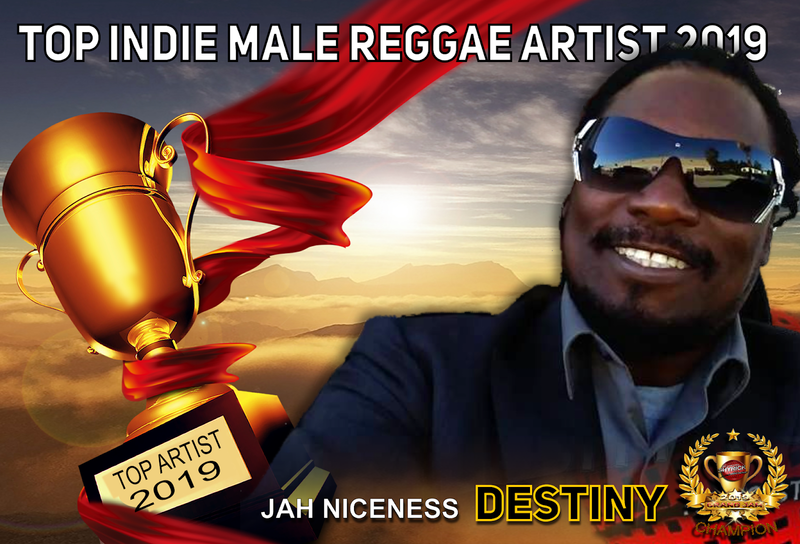 The same track also earned JAH NICENESS >>> TOP INDIE MALE VOCALIST FOR 2019 as well ! 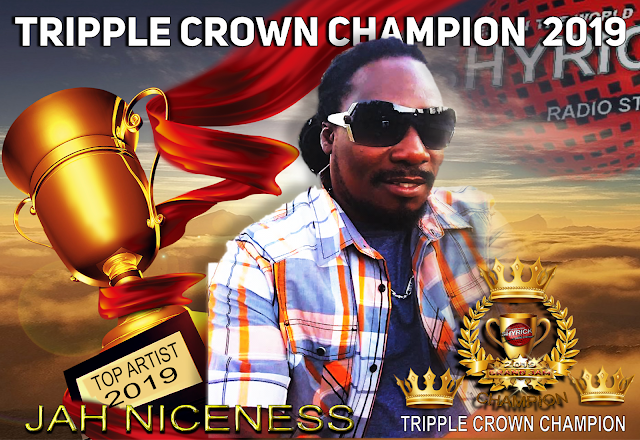 And that's the first time in GRAND JAM HISTORY that an artist walked away with THREE CROWNS in one sason ... massive respect JAH NICENESS, well done ! Finally, a lady who has had a very successful 2018 season with her 'CRIME AND VIOLENCE" tour walks into 2019 with the title of TOP INDIE FEMALE DANCEHALLARTIST 2019 .